Malcolm X's daughter calls for Muslim parents to protect kids..
CRESWALK2015 IS JUST AROUND THE CORNER! 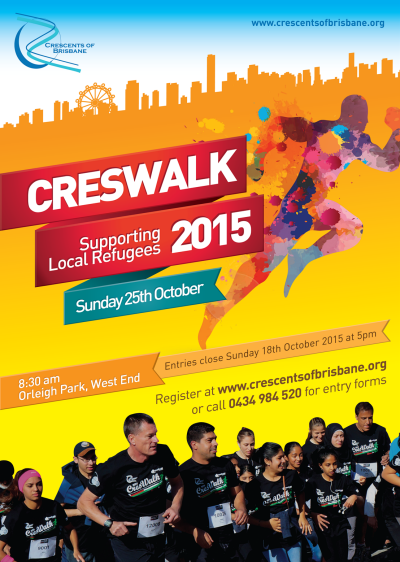 Register for the Crescents of Brisbane�s 12th Annual CresWalk2015 Fun Run and Walk, and help local refugees in the process. Enjoy a delightfully fresh October morning out along the Brisbane River on Sunday 25 October and, on your return, savour the famous CresWalk Signature Burger Meal as you relax back at the Park with family and friends. Get your entries in as quickly as possible because only the first 400 to register will qualify for a CresWalk2015 t-shirt. Click here to get started and then look forward to another memorable CresWalk, insha�Allah. There were plenty of beautiful dresses and dashing suits to admire, but what made my night was to see how these once little girls and boys developed into such intelligent, articulate, confident, witty, generous, and kind young women and men. The obvious love and care you have shown to one another, to your teachers and to your parents made my heart sing. 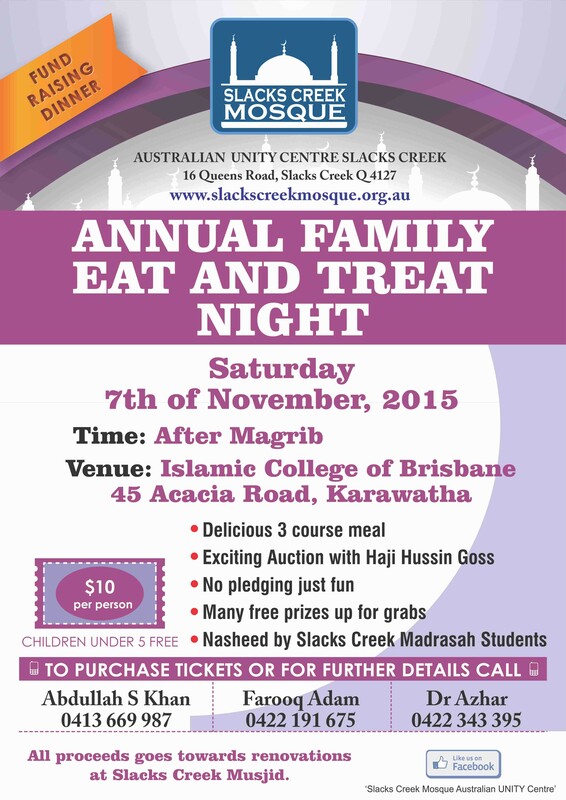 Islamic College of Brisbane Class of 2015, you are indeed people of integrity. 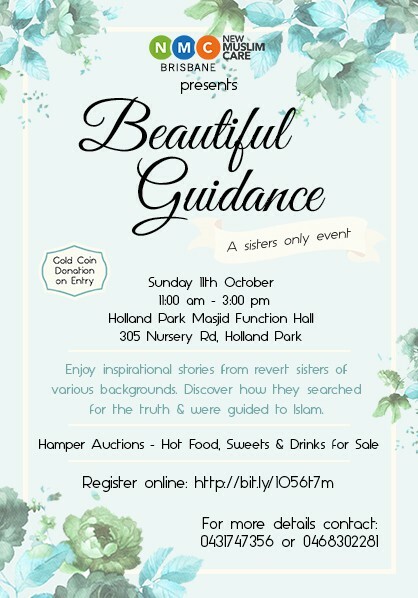 �True friends stand together in times of need.� That�s the message that is being sent through a morning tea to be held at the Garden City Mosque in Toowoomba on Saturday 10th October at 10.30 am. �In Toowoomba we have a shared history of harmony and respectful dialogue with our Muslim sisters and brothers,� stated Dr Mark Copland (pictured), Executive Officer for the Social Justice Commission for the Catholic Diocese of Toowoomba. This morning tea which will be attended by a number of faith traditions is not a �once off�. Similar events have been facilitated throughout this year and in previous years. There have been community picnics, soccer games, youth bush walks etc. 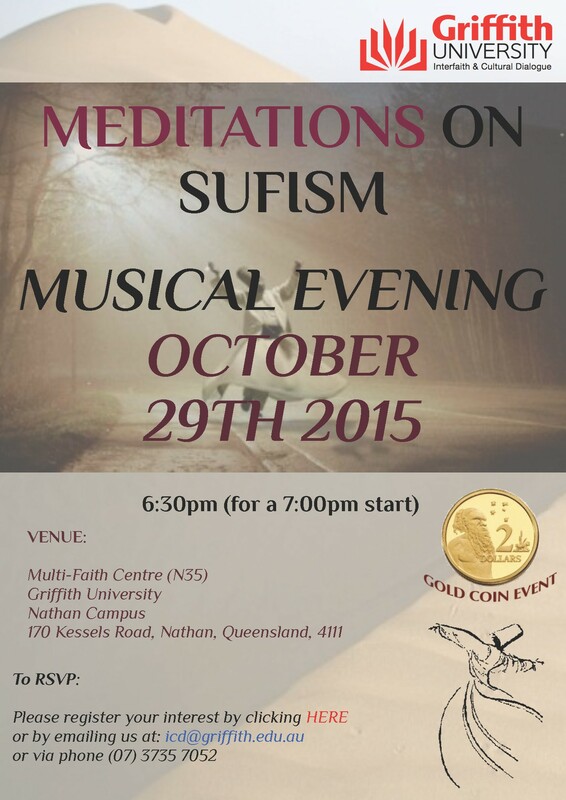 Christians and Muslims have come together in times of tragedy and in times of celebration in Toowoomba. Bonds of trust and understanding have been nurtured and strengthened over the years. 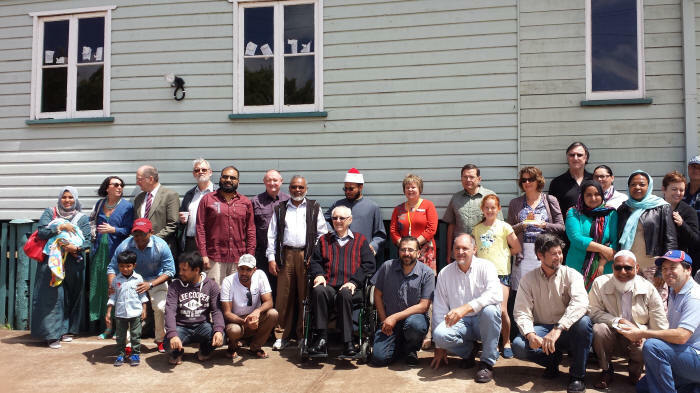 The morning tea took place at the Garden City Mosque (cnr Stephen and West Streets) at 10.30 am on Saturday 10th October. There were representation from all major churches in Toowoomba such as Catholic (Fr Brian Sparkman, my contact and friend since 1994, and Dr Mark Copland), Anglican (Dr Jonathan Inkpin, Chair of Toowoomba Goodwill Committee, and Rev Penny Jones), Uniting (Mrs Sharon Kirk), Lutheran (Rev Evan Reichelt), Toowoomba Churches Together (Rev Denise Harcourt) among others. Community leaders included Mr Matt Elipson, Mr Roberto Garcia, and Solicitor Brian Conrick. The Vice Chancellor of University of Southern Queensland, Professor Jan Thomas (who first brought me to the property in 2013 to see if Muslims like it to buy it to be the first Mosque in the city) also participated in the event. A good number of members of the Muslim community also came to the event with sweets and snacks. 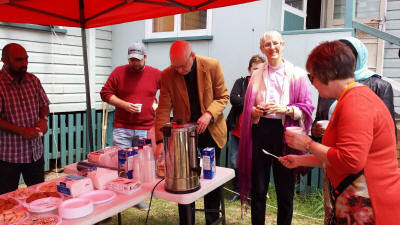 Islamic Society of Toowoomba provided tea, coffee and serviettes. Certainly this was a strong show of support, but it was no way a one off meeting, rather this is an ongoing engagement of people of all faith and orientations to live in peace and harmony in Toowoomba. The participants went inside the burned Mosque building and expresses their shock and horror by looking at the huge damage caused by the arson attack on the Mosque early this year. 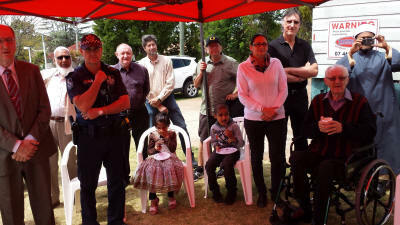 Imam Abdul Kader, Dr Mark Copland, Fr Brian Sparkman, Police Officer Scott McGrath, and President of Islamic Society of Toowoomba, Professor Shahjahan Khan spoke in the gathering. Fr Brian Sparkman reminded the long standing relationship between Muslims and Christians in the city ever since Mrs Amahl Bruce introduced Prof Shahjahan Khan with him in 1994. Professor Khan condemned all kinds of violence and radicalism and invited the wider community to work together to make sure that the young generation is not mislead by any extremist group. No one should act in any way that could further the cause of those who love to divide the community. He mentioned that Islam is an ancient religion with an excellent track record of living in peace and harmony over the centuries across the globe, and no one needs to reinvent the wheel out of bigotry. 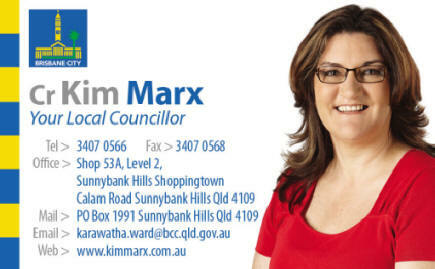 Local Federal MP Hon Ian Macfarlane and State MP Dr John McVeigh sent their apologies, mainly due to very short notice, but both of them participated in several events at the Mosque in the past and spoken very strongly on the unity of Toowoomba�s diverse community. The daughter of African-American civil rights leader Malcolm X says parents need to take more responsibility to make sure young people stay away from radical messages. 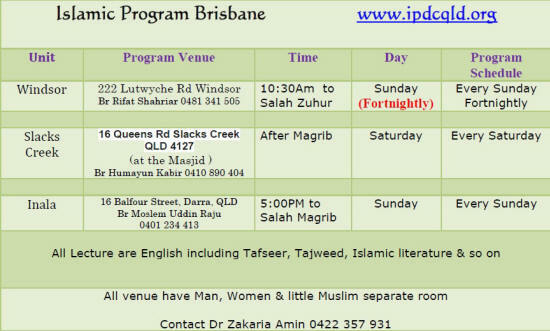 Ilyasah Shabazz is in Australia on a speaking tour and has been visiting Islamic schools teaching young people about empowerment and being part of the global community. But she also has a message for parents about the threats of radicalisation. "If we don't take full responsibility for our children's development, we leave them open to prey � for other people to prey on them," she said. Ms Shabazz said children needed to feel like they could contribute to the community. "I want them to understand their power, the power to be their best selves," she said. "It was basically the same information that was given to me by mother, by my parents to understand my power, to understand my role in society, my role as a woman, my role as a person of the African diaspora, my role as a Muslim - there's something I have to give back to society." 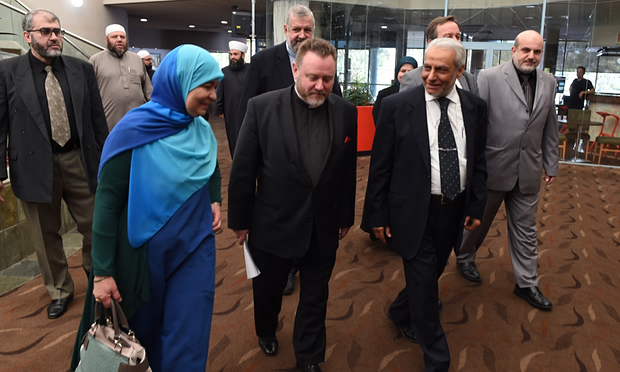 "To offer security to all its citizens, Australia needs a new counter-terrorism paradigm � one that does not use �terrorist� as an everyday metonym for Muslim"
(L-R) Maha Abdo of the Muslim Women�s Association, Father Rod Bower of Gosford Anglican Church and His Eminence, Dr Ibrahim Abu Mohamed, Mufti of Australia, arrive for a media press conference in Bankstown, Sydney, Friday 9 October 2015. Australia�s tough national security posturing in the past 14 years has cultivated a discourse and climate of fear and overreaction. Yet the �war on terror� has little concern for risk assessments and statistics. Politicians, media, academics, and opportunistic Islamopobes have created a false sense of national insecurity over the �could-be� Muslim terrorist with insidious results. The rhetoric of the �war on terror� has turned �terrorist� into an everyday metonym for Muslim. Thus, the proposition that �anyone could be a terrorist� translates into �any Muslim could be a terrorist�. 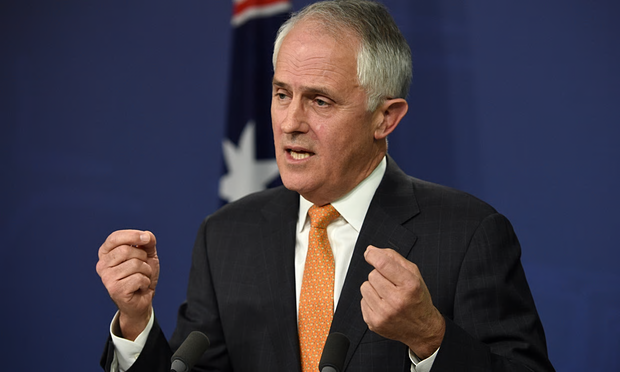 Malcolm Turnbull has binned �Team Australia� and we have so many reasons to say �good riddance�. Tony Abbott liked to use the term, which portrayed the Australian community as a pre-existing �team� which migrant communities had to show they wanted to join, an �us� deciding on membership applications from a �them�. Turnbull is portraying the Australian community, the �us�, as it is, a diverse variety of faiths and ethnicities � where �no one can look in the mirror and say all Australians look like me�. And �we� all have a desperate, pressing mutual interest in binding together against terrorism, particularly the kind motivated by the perverted interpretation of Islam that apparently convinced the schoolboy Farhad Jabar to murder a police accountant, Curtis Cheng, on a Parramatta pavement last week. In this discussion words matter. I�m sure Tony Abbott wanted to do what he thought was best for community safety but those who know say this change in tone is definitely for the better. First, Turnbull dialled down the volume. He gave an initial press conference in which he said he would do everything possible to keep Australians safe and it was crucial not to �vilify or blame� the entire Muslim community for the actions of a tiny percentage of extremists. And then the prime minister spent the week saying almost nothing. He didn�t flag tough new anti-terrorism laws on the front page of the Daily Telegraph. 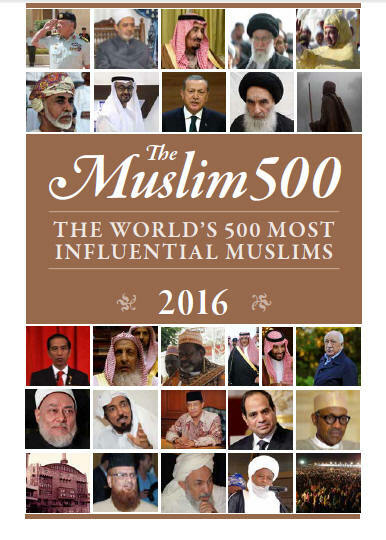 He didn�t criticise Muslim leaders for not saying or doing enough to counter the violence, or not �meaning� what they did say. He didn�t tell Australians the �death cult� was reaching out to get them. UK: �I�m just as British as anyone else, and I hope I have proved that.� So said Nadiya Hussain, a woman of whom I�d not been aware until today. 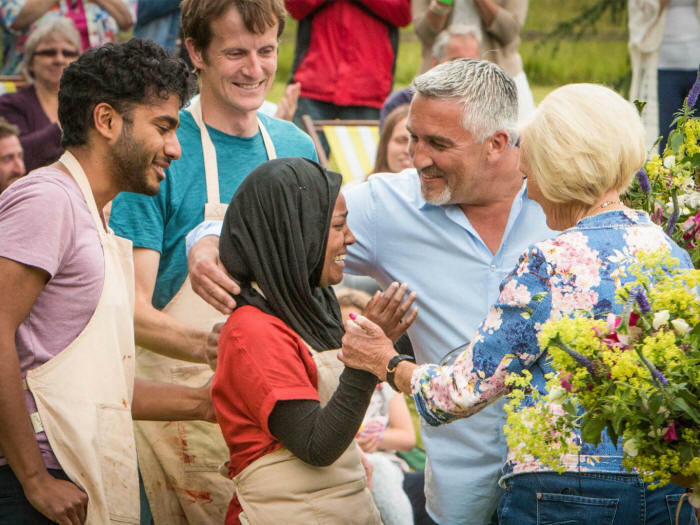 If you, like me, are one of the very few people in Britain who is not enraptured by a TV show in which contestants have to make scones, or if you�ve avoided every news outlet over the past 24 hours, you may not know that Mrs Hussain (a British woman of Bangladeshi origin) has ascended to the position of national treasure as a result of winning The Great British Bake Off. Alongside various other aspects of popular culture that I have eschewed � I�ve never seen an episode of EastEnders and I have not once set foot in a McDonalds � I haven�t watched a minute of �Bake Off�. It�s not that I�ve got anything against reality TV, or indeed baking. It�s just that it�s passed me by, and I�ve not been motivated to peer in the tent to see what�s going on. I�ve been bemused by the way it�s captured the country�s attention, snootily thinking that it�s symptomatic of how we�ve become obsessed by triviality. So you can bake a jam sponge? Big deal. And now I wish I had paid more attention, because it clearly is a big deal. The final show attracted Britain�s biggest TV audience of the year, a massive 14.5 million, and given that it was a woman wearing a hijab - in her own words, a �Muslim in a headscarf� - who took the first prize, it is hardly surprising that this show is more culturally significant than just a baking competition. The Great British Bake Off is popular because it represents aspects of Britain that make people feel safe: tradition, homeliness, cosy familiarity. But the victory of Mrs Hussain throws up some altogether less comfortable issues: multiculturalism, racial integration, identity. And when Mrs Hussain claims, while presenting a Union Jack-theme wedding cake wrapped in a sari, that she�s as British as anyone else, she invites us to consider the delicate topic of nationality alongside an assessment of whether her millefeuille is successful or not. In terms of her outlook, attitude and values, Mrs Hussain may well be as British as anyone else (whatever that means). But, more than that, she is a representative of our polyglot nation, and should be celebrated as such � a living retort to the this week�s xenophobic rhetoric from the Home Secretary. She was born in Luton, the daughter of immigrants who had fled Bangladesh in the 1970s to escape war, poverty and natural disasters and and to seek a better life running a restaurant in Britain. Now 30, she lives in Leeds with her husband, and epitomises Britain�s generations of immigrants who have overcome all sorts of adversity and institutionalised prejudice to make a contribution to wider society. Britain�s champion amateur baker grew up in a house without an oven. According to the President of Muslim Association of Britain, Mrs Hussain has �demonstrated the inclusivity of British Muslims in society� and certainly the juxtaposition of the hijab and the hot cross bun is a very powerful one. She may well be a trailblazer for racial tolerance and integration, but, sadly, Theresa May illustrated this week how much work still needs to be done on that front. 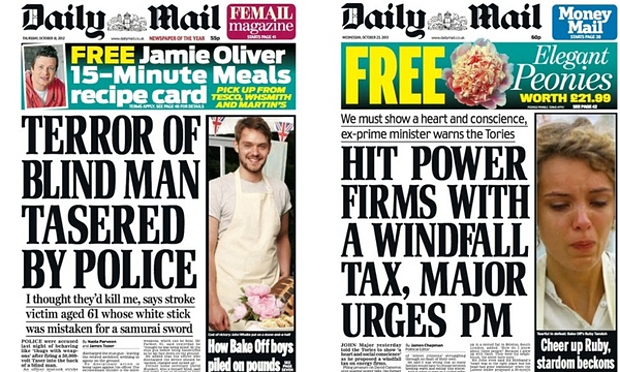 Paper has put final of BBC show on front page for past three years � but this year decided to restrict coverage to page 7. It may be the most watched TV show of 2015, but it seems the Great British Bake Off final was not to the Daily Mail�s taste this year. Commissioner for Police, Mr Ian Stewart, called a meeting on Tuesday of Muslim community representatives to discuss recent issues and strategies. There was a broad representation from the community alongside state and federal agencies. The Queensland Police Service issued a communiqu� during the week to the Muslim community of Queensland in response to the call to protest at Mosques in the Brisbane area on 10 October 2015. Most of you may be aware that Anti-Islam protestors have threatened to protest outside the masjids on the 10th of October. Islamic Council of Queensland has been in constant contact with Queensland Police to ensure that the musallis and the masajids are protected. Queensland police has been sharing intelligence with us and they have assured us that there is no known credible threat to any Australian Muslim interests in Queensland. 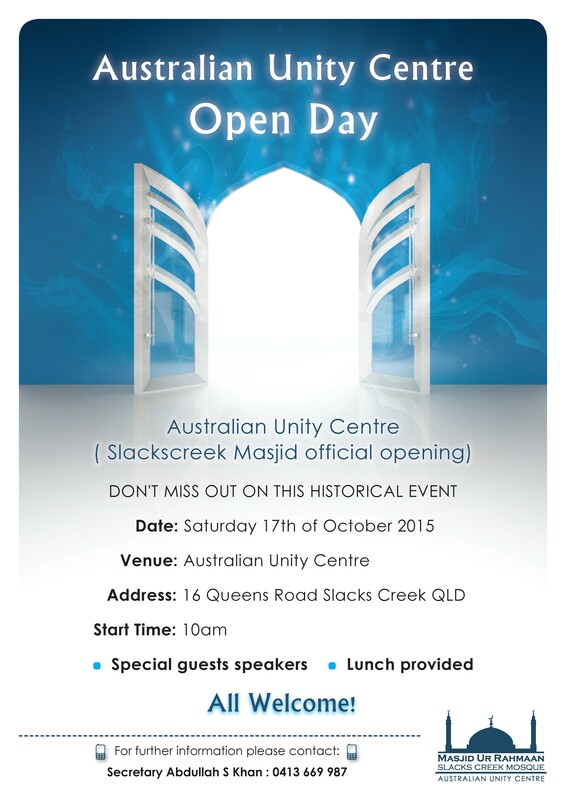 However, ICQ (Islamic Council of Queensland) would like to urge the community not to engage with any protestors on the day and report any vilification or threats to us by contacting our representatives through the committees of your respective masajids. Queensland police will increase patrols around the mosques and the places frequented by Muslims to ensure the safety and security against any extremist threat. If members of the community require urgent assistance they may directly call police on 000 when the crime in in progress or 131 444 for all other matters. Sheikh Wesam Charkawi was born and raised in Australia. From an early age, he sought the path of knowledge in the traditional Islamic sciences. 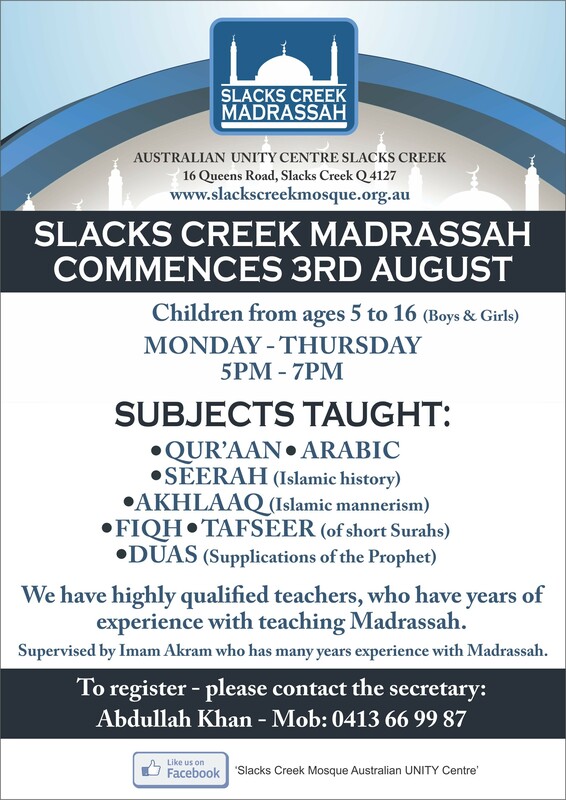 Having studied for the past 12 years in various parts of the world including Syria and Lebanon, Sheikh Wesam is currently undertaking his masters in Sacred Islamic Law. Sheikh Wesam now works in a Sydney based school as the chaplain and works at grass roots mentoring and assisting the young through their journey in life. In 2003, he founded the Abuhanifa Institute which teaches the essential sciences of Islam to young Muslims. Its ultimate focus is generational change. 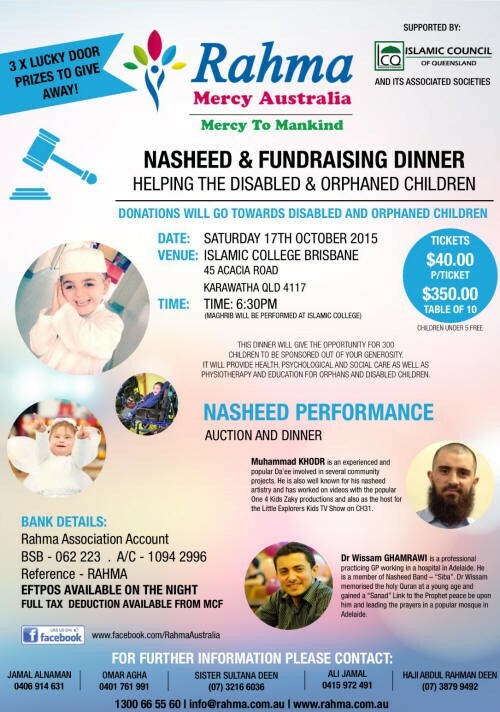 Sheikh Wesam continues to work and participate with organisations and events that strive for social cohesion and is a keen advocate of reaching out to the wider Australian community. 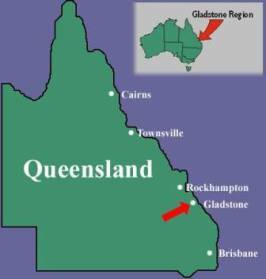 THE Islamic Society of Gladstone plans to build a new 'Islamic Centre' in Gladstone --- to provide a central meeting point for more than 150 Muslim people in the region, according to one member of the group. Syed Quadri, who is a member of the city's local Islamic Society, said the proposed centre would act as a conduit for breaking down the perceived cultural barriers between Muslims and the wider community. Despite the recent backlash over mosque openings in Australia, Mr Quadri says he is optimistic about the support from the community because the new Islamic Centre in Gladstone will not resemble a mosque, he said. "We want to gel with the public so we don't want to limit ourselves by building a mosque," he said. 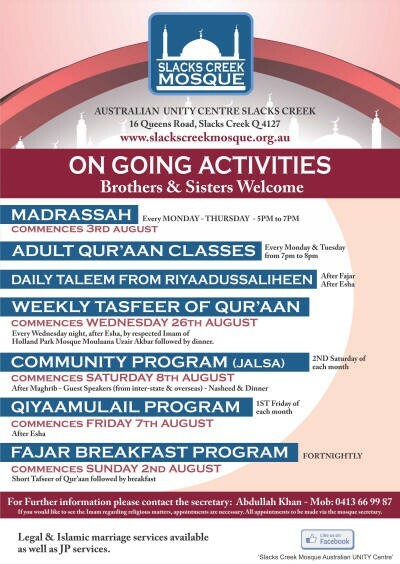 As well as regular Muslim prayer services the centre will offer community programs to facilitate a smoother transition for new arrivals. With a growing Muslim population The Islamic Society of Gladstone want to establish the Islamic Centre in the near future; they say that will enable a permanent and lasting presence in the region. "The Muslim population has probably tripled since I came to Gladstone so with the new centre we hope to reach out to more Muslims in the area," he said. "This is a win-win situation for everyone because we will have a place to interact and gather. We will know who is who and who is new." The society is still looking for a property they can convert into the centre. "It all depends on the council but we're pretty confident," Mr Quadri said. 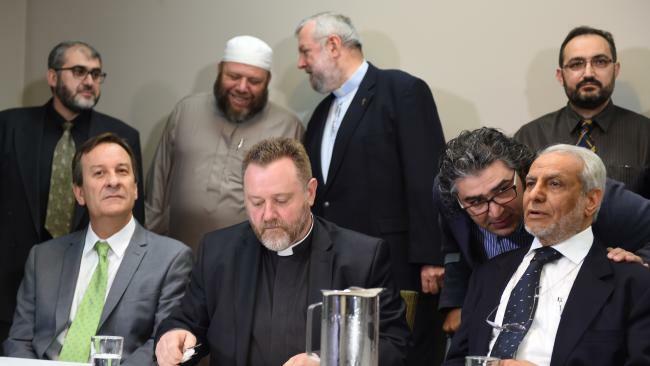 Dr Ibrahim Abu Mohamed (right), with his interpreter, members of the Australian National Imams Councils and Father Rod Bower of Gosford Anglican Church. I am grateful for His Eminences invitation and wish to acknowledge that we walk together in the land of the Eora Nation. I honour elders and wise ones of the past and seek the council of their descendants in the present. We are called together because of a tragedy that has shocked our entire community. Our response to this tragedy will determine how we live as a community for generations to come. These conversations are of ultimate importance. I come with a personal commitment to participate in a conversation, but not in the narrative that has in some ways contributed to this tragedy. That is the dualistic storyline of �them and us�. I once asked Dr Ibrihim, in a public forum, to tell the group something of his story and he responded by saying he comes from a very large family, his father was Adam and his mother was Eve. No matter how you interpret or understand that story, it echoes an indisputable truth; we have a common ancestor, we are all related, we are all brothers and sisters. The Great Narrative continues quickly into tragedy with the story of two brothers and the taking of one life by another. Last Friday that story was retold once more and we would do well to remember that both Farhad Jabar and Curtis Cheng are our brothers. If we ever wish to cease contributing to tragedies such as this we must choose not to participate in the dualistic narrative of "them and us". 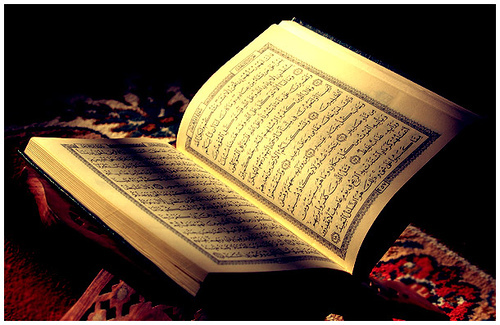 It is not they who must speak out but us, so I am hear to join my voice to the Mufti�s so that it is never them but us. We choose to use language that includes rather than excludes, that incorporates rather than marginalises. I am grateful for the noticeable change in language that Prime Minister Turnbull has brought to the conversation, but if we are to transform the narrative it requires commitment and participation by the whole community, and that includes the media. The language we use, as a society, to frame this conversation is important. It is a choice. We have in the past chosen to use one kind of language, that of division. 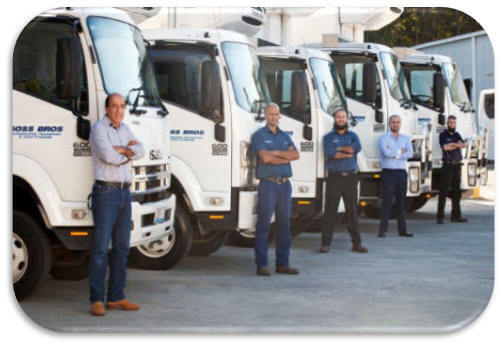 Why can�t we choose another? It is within our power to do so. 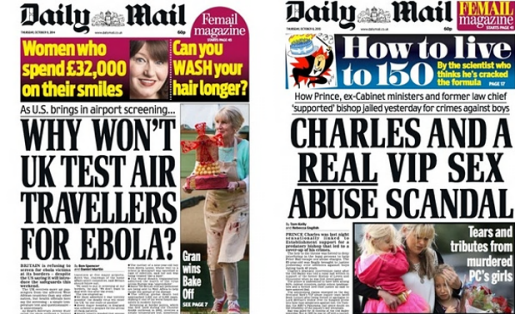 The question we must ask is; who benefits for the use of divisive, sensationalist language? It is clear who does not; and that is our society. The Authorities need to be allowed to do their work, and be assisted in every way. We as community need also to do our work, and that is the task of naming the illusion and deception of the doctrine of them and us. Two of our brothers died last week. We do not know for sure what motivations prompted this heartbreak, and speculation is often a symptom of dualistic thought, but it is not speculative to suggest that one had forgotten that the other was a brother. It is the highest calling of a society to remind itself that all are connected, all are one, there is no �them�, separation is an illusion, when one suffers all suffer, and when one finds wholeness all are made whole. We can change our language or we can return to this place and tell the same tragic story once again. I watched Fr Rob's, the Grand Mufti's and a young Muslim women's full media interview today and I will take up Fr Rob's challenge to speak up. I am greatly concerned by the level of hatred that is on display and accommodated by sections of the media and politics to such an extent, the hate is becoming mainstream, with potentially very negative consequences for our society if it continues to go largely unchallenged. The vast majority of non-Muslims hear no other narrative but a negative one about Muslims. 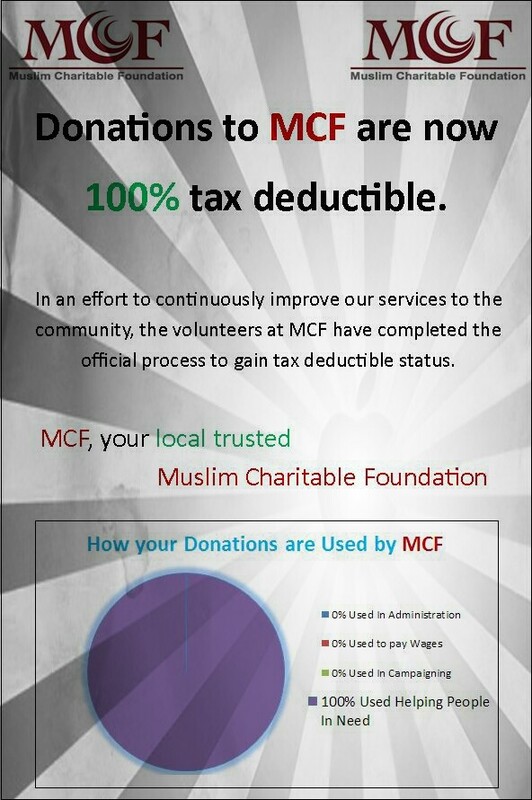 I have worked / associated with Muslims in a professional and private capacity for about 18 years and interact daily. I have Muslim neighbours and friends. I treat people as individuals. 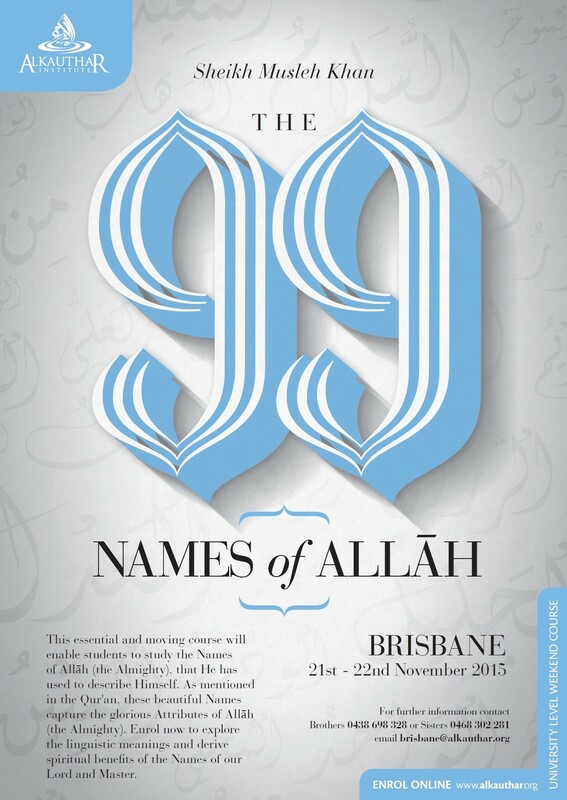 I know either the Imams or Mosque 'leaders' in almost every Mosque in Queensland. I would put my reputation on the line to honestly say I have never heard any of the Imams or leaders preach hatred - never. In fact I constantly hear the opposite including when attending Mosques in Queensland. But what is resulting from the community is apology fatigue and greater marginalisation where you have large sections of the community - including those born here - made to feel unwelcome and excluded. Of course there is a tiny element in the Muslim and Non-Muslim community driven by hate. One is rightly condemned, but the other is accommodated. It's not about everyone agreeing, it's about everyone accepting each other within the rule of law. We all live here and no one is going anywhere. We all have an individual choice - but we also need leadership. 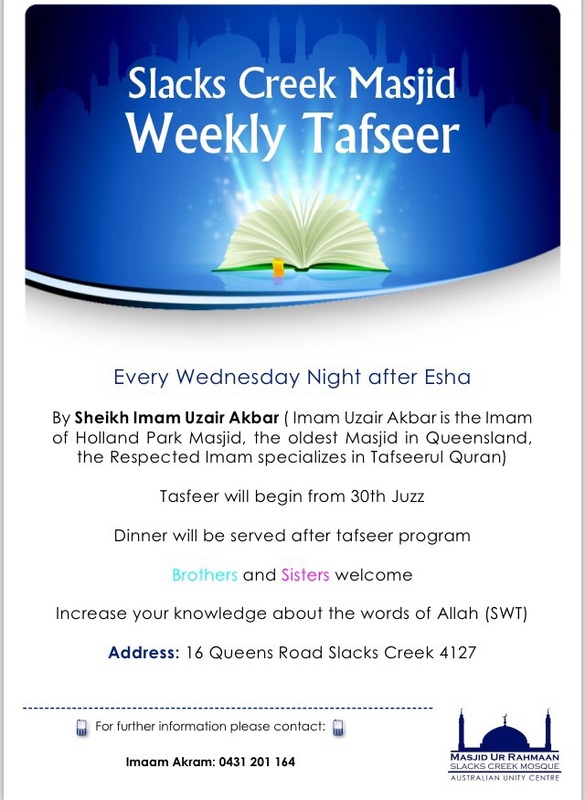 1 minute walk to Hillcrest mosque. 2 minutes drive to Grand Plaza, Browns Plains shopping centre. Highset 3 Bedrooms, Kitchen and 1 Bathroom. 2 Living Areas, 2 Garages. Ample space for kids 800m2 block. Available 14th September. Rent $335 per week. 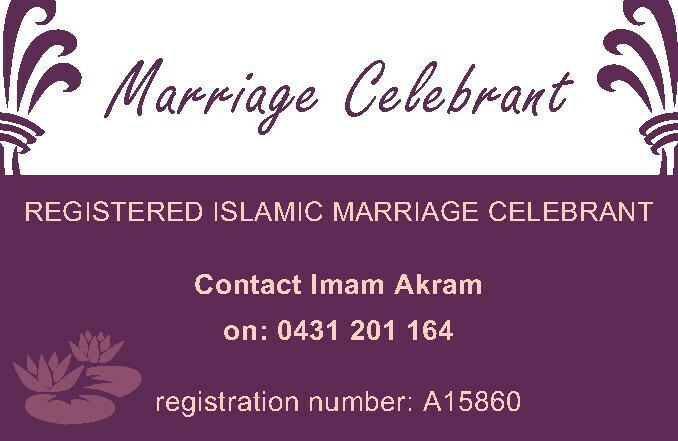 Contact Mumtaz 0405 669 264. 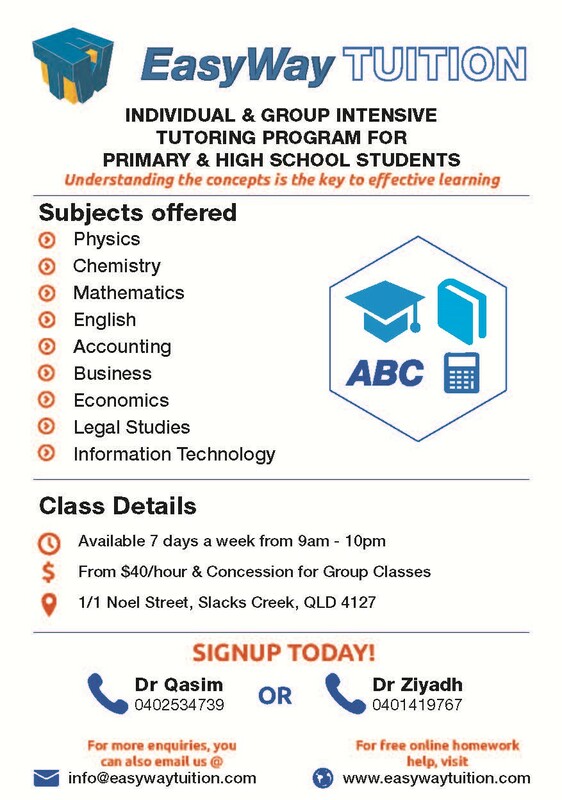 Other subjects available on request. Discounted rates for CCN readers. An electric, adjustable hospital bed with side rails available for loan. Seeking Female roommate to share large home with a sister for a temporary basis. Rent negotiable. Fully furnished. Ideal for student or single sister. 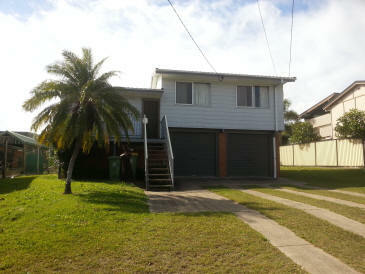 Walking distance to buses, close to TAFE, Griffith University, schools, major shops and mosque. Located in Mount Gravatt. Please phone: 3343 2233. �There's no doubt a level of apprehension amongst those who do identify with the Islamic faith in terms of the way things have been done,� Mr Rauf said. "You've got to face the reality that there's now a serious cultural welfare dependency in the Muslim communities in Western Sydney," Mr Latham told the panel. "It started with the family reunion � or unskilled migration program in the 1980s. "There's whole suburbs, such as Auburn, Lakemba, areas around Parramatta, where you've got young people who aren't in meaningful work, who aren't involved in meaningful work." Mr Latham claimed that the "idleness" had led to serious problems. "One of the issues for ASIO is to monitor groups where these young fellas sit around bitching about Western culture," he said. Prime Minister Malcolm Turnbull tells people who find Australian values unpalatable: "There's a big wide world out there." 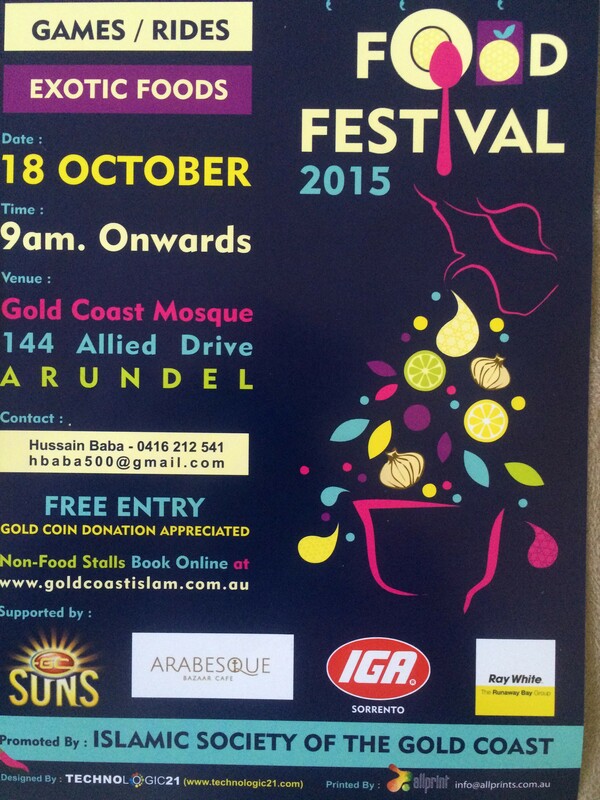 Neil El-Kadomi told hundreds of worshippers gathered for Friday prayers that "if you don't like Australia, leave". "Get out. We do not need scumbags in the community." �We are not an investigation agency, we cannot redefine or readapt what happened,� he said. Premier Daniel Andrews has described as "hateful" the campaign against the Bendigo mosque, as he sat down with religious community leaders in the regional city on Friday ahead of anti-Islam protests scheduled for Saturday. The head of the group West Australians for Racial Equality, Suresh Rajan, said he was not against Mr Wilders being granted a visa. "When you have someone coming like this and preaching these issues of stereotype and hate, it's going to further isolate these kids who are going to feel totally disenfranchised, totally without any sense of belonging to the society and that's going to actually breed that radicalisation," he said. "What we find common amongst all of the people who've gone down the path of radicalisation has been the fact that they have felt isolated within their community. "The work that Geert Wilders does just further isolates them to a position where they become prey to the radicalised views of other people." Thank you for my weekly Crescents newsletter. It is essential reading for both local and international news. I am so sorry that the Muslim community has had to again stand up against hateful, cowardly racist attacks in our suburbs. It is easy to say that these actions are the minority and that the community does respect our Muslim neighbours, BUT it just keeps happening. TOPIC: "The benefit of Zikar"
TOPIC: "Islam, Religion of Humanity + 10th Oct Protests"
TOPIC: "Lessons of the Hijra"
SOUTH AFRICA: It is a humorous story and a �bunch of lies� for many Mayfair and Fordsburg residents who are said to be living in a �no-go zone� after irresponsible reporting on US Fox News was cited on Saturday, claiming that Mayfair and Fordsburg are hub areas for Isis recruits. �Al-Alawi believes there could be many more ISIS recruits leaving South Africa who get to the front line undetected. While ISIS recruits come from throughout the country, most are radicalized and lured from two downtown districts of Johannesburg, Mayfair and Fordsburg�, writes Fox News journalist, Paul Tilsley. 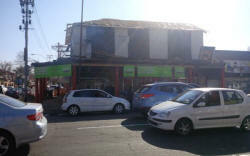 Tilsley a freelance journalist, in his article, described the Johannesburg area as being �controlled by Islamic extremists�. And was soon taken to task on social media about his article in relation to his false references. BBC journalists who had reported live from the area before, also denied the false claims made in the article. Based for Fox News in the Johannesburg district, Tilsley reports that the Fox News team was filming in Mayfair and were chased out of the area, he says that ��non-Muslims are not welcome here�. 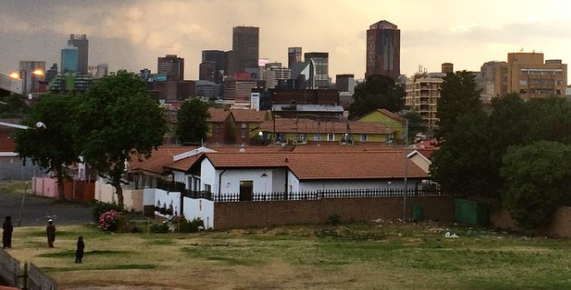 Mayfair and Fordsburg, a once white suburb, is now home to ethnicities and religions of all descent. With a Muslim majority, the area is alive with busy streets, ethnic businesses and hustling vendors. People of all races walk the streets, whilst motorists traffic the roads. The most harm one is likely to encounter are petty crimes by homeless drug users, who are often too afraid to mug pedestrians in the bustling daytime traffic. In an area with general ongoings visibly evident, Mayfair and Forsdburg are free from terror and extremism, it is undeniably a bustling area where sweetmeats and take-outs are sold and are enjoyed, guilt-free. Daily Vox executive editor KHADIJA PATEL says these claims are dangerous fabrications that show how poor journalism is being used to further the reporter�s own agenda. 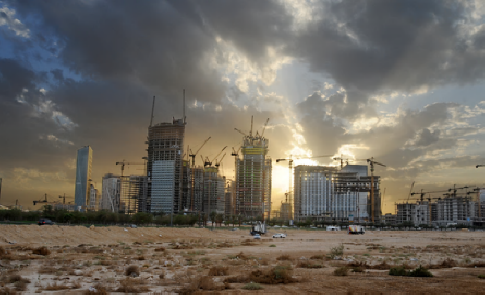 Construction of Riyadh�s King Abdullah financial district. Saudi Arabia�s King Salman has ordered a stop to any new projects and a freeze on all appointments. SAUDI ARABIA: The Saudi government has banned official purchases of cars and furniture and slashed travel budgets and infrastructure spending as it faces its gravest fiscal crisis for years because of low oil prices, according to leaked internal government documents. One letter marked �Highly Confidential and Most Urgent� dated 14-12-1436 (28 September 2015 in the Islamic calendar) gives strict instructions to stop any new projects, end the purchases of any new vehicles, furniture or other equipment, freeze all appointments and promotions, stop compensation payments for property, and halt any new rental agreements. 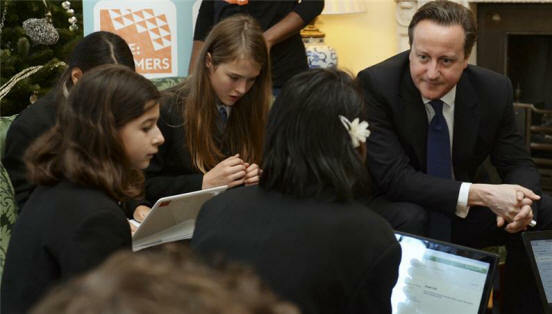 "We'll shut down institutions that teach intolerance" Cameron . UK: Schoolchildren in the UK who search for words such as "caliphate" and the names of Muslim political activists on classroom computers risk being flagged as potential supporters of terrorism by monitoring software being marketed to teachers to help them spot students at risk of radicalisation. TWO WEEKS TO OUR ANNUAL CRESWALK FUNDAY! � Remember, some days will be harder than other � keep your training sessions on track for great results on race day! KB says: Pronounced �keen-wah�, Quinoa is a protein-packed grain which contains every amino acid, and is particularly rich in lysine, which is said to promote healthy tissue growth throughout the body. Quinoa is also a good source of iron, magnesium, vitamin E, potassium, and fiber. It looks a bit like couscous and is as versatile as rice, but quinoa has a richer, nuttier flavour than either of them. 1. Heat the oven to 180degrees. Grease a 12-cup muffin tin and set aside. 2. Combine the flax and water and set aside to gel while you prepare the remaining ingredients. 3. Whisk together the dry ingredients (minus vanilla extract if using) in a large mixing bowl. 4. In a separate bowl, beat together banana, pumpkin, milk and syrup. 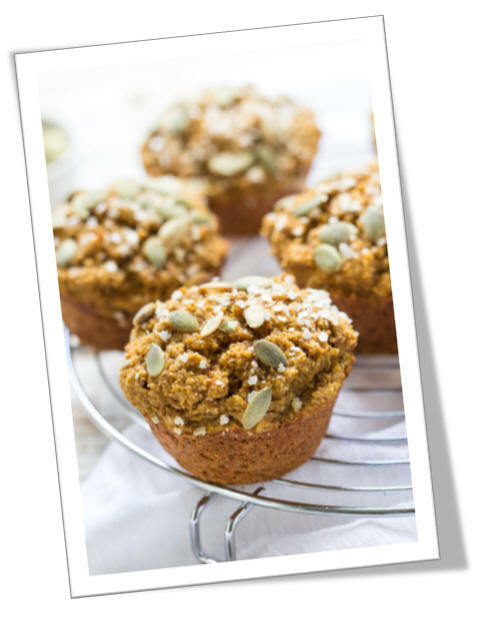 Whisk in flax egg and pour wet ingredients into dry. Stir to thoroughly combine (the batter will be kind of thick, but soft). A woman in a supermarket is following a grandfather and his badly-behaved 3-year-old grandson. It's obvious to her that he has his hands full with the child screaming for lollies in the lolly aisle, cookies in the cookie aisle and for fruit, cereal and soft drinks in the other aisles. Meanwhile, Grandpa is working his way around, saying in a controlled voice, "Easy, Nasruddin, we won't be long . . . . easy, boy." Another outburst and she hears the grandpa calmly say: "It's okay, Nasruddin, just a couple more minutes and we'll be out of here. Hang in there, boy." At the checkout, the little terror is throwing items out of the cart and Grandpa says again in a controlled voice, "Nasruddin, Nasruddin relax buddy, don't get upset. We'll be home in five minutes, stay cool, Nasruddin boy. Very impressed, the woman goes outside where the grandfather is loading his groceries and the boy into the car. She says to the elderly man, "It's none of my business, but you were amazing in there. I don't know how you did it. That whole time you kept your composure, and no matter how loud and disruptive he got, you just calmly kept saying 'things would be okay'... Nasruddin is very lucky to have you as his grandpa." "Thanks," said the grandpa, "but I'm Nasruddin, This blighter's name is Junaid. It is He Who has made the earth manageable for you, so you traverse through its tracts and enjoy of the Sustenance which He furnishes: but unto Him is the Resurrection. because most of us once were foreigners. knowing that so many of you are also descended from immigrants." All school age girls are welcome to come & share in crafts & activities. 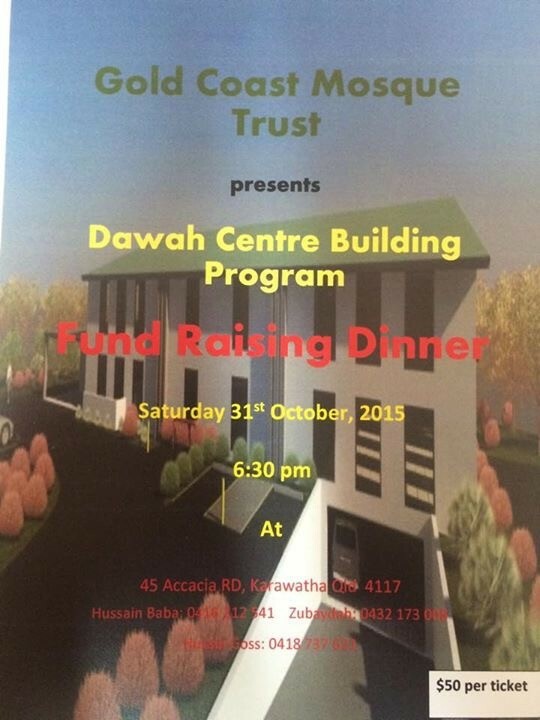 Please contact A�isha for location & details.